“…it is not the child’s disability that handicaps and disintegrates families; it is the way they react to it and to each other” (Dickman & Gordon, 1985, p. 109). This next week Coach Gene Stallings is coming to Dalton to act as our Guest host and speaker for the “Ultimate Tailgate”. One of the things that I’m so very excited about his hosting is how he can give attention to the great need we have to highlight the importance of families with children of special needs to stay together. 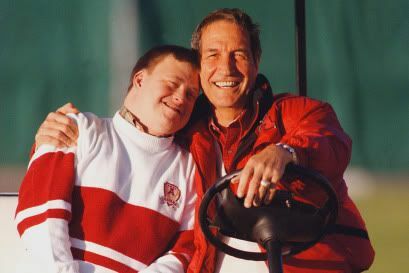 He has been a Champion for the Children with Down’s community and has lived this challenge first-hand. He has said that he would not change one thing about his experience of being a Dad to a special needs child. For twenty something years I have worked in pediatric healthcare. I have experienced so many family breakups, but my heart is especially sensitive to the needs of these families. It’s hard to adjust to the changes that these children bring. It’s hard enough to adjust to children in general and how they change our lives. But not only to the special needs that the child requires, but the money that it requires for all their needs. All of this brings extra stress to the family. When there is stress in the family there are healthy ways to deal with it and unhealthy ways. Some families are very resilient and learn how to work with these adjustments, but others struggle to know what to do with the challenges. These couples that struggle would usually have some struggles even with normal children. But the needs of these children escalates the problems that the couple might have had even before. My heart goes out to the families in these situations. It’s just very difficult. The child has needs which take away from the other children in the family. These children then act out to get the attention that they need. I was recently in a restaurant and watched a family dealing with this. There were extended family members present that were trying to help. It looked like mom and dad were on the same page, but I noticed how the little girl looked a little more clingy to the parents and didn’t quite seem to adjust as yet. The disabled child was about 18-36 months but that child’s needs were taking away from the other child. Then the parents were preoccupied with the needs of the disabled child which took them away from each other. But it did look like the mom and dad were responding positively to the situation. Dad was very involved in the care of both children as well as the mom. But I could tell there were some extra stresses. 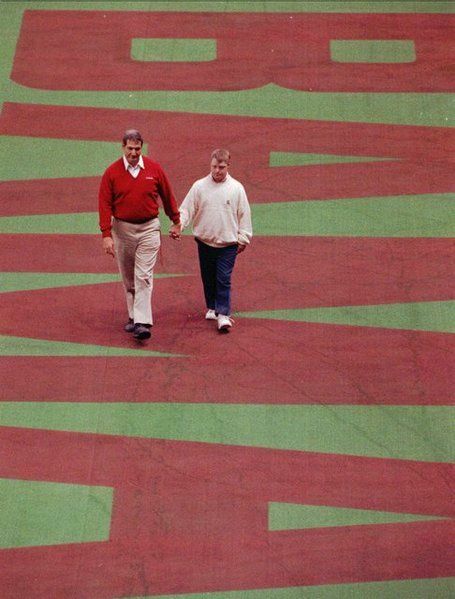 Coach Gene Stallings had noted this with his son. He would take his son to work with him. He became part of the team and very much loved. This must have been a huge help to his wife while she focused on the needs of the other girls in the family. They learned how to adjust. They might not have had as much financial struggle as many of these families do. With the need for both parents to work these days, that limits the parents in their care. They have to decide whether they will stay home and get less monies or work and risk someone else caring for their child. These are HARD choices. When a family does decide to divorce, my heart breaks because the situation is hard on everyone. A parent now has to figure out how to support their home monetarily but alswo be there for the children. They have to stretch their dollars even more. There is more isolation for the custodial parent. And there are many things that both parents give up to a greater extent when they choose to divorce. We at Family Frameworks hope to make a difference with this focus. With all of this, I’m hoping to bring awareness to this great need. All children, whether disabled or not deserve to have both their parents in the home. Please reach out to the families with children of special needs. Many times they cannot get out as much, such as to church due to the child’s reactions or needs and this can isolate the parents from getting the support that they need socially. It’s a beautiful scene to watch when you see the dedication these parents have to their children . We want to encourage them in their journeys. I’m really looking forward to talking with the coach about this great need. I believe he will share some great insights that can encourage and help our families here in North Georgia. Would you consider supporting our efforts to make a difference? 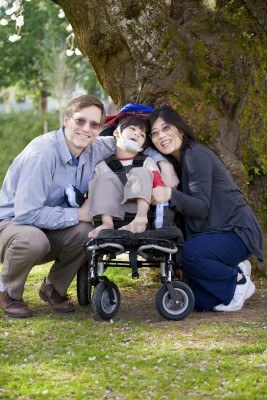 What are your thoughts about the disabled child and families? Is anyone else seeing this need?